Pros: A wonderfully evocative script that allows an excellent cast to explore the humour, pathos and downright brutality of war. Cons: Some time might have been shaved off the 2 hours 10 minute duration for a more streamlined production. 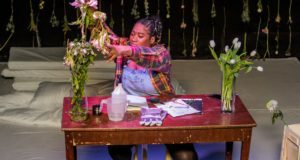 The spirit and humour of a lost generation shine through a poignant, thoughtful script. Sunday 11 November 2018 marks a significant centenary in the annuls of human conflict. One hundred years have now passed since the Armistice was signed formally ending World War I. The Great War was one of the bloodiest, claiming 17 million lives and 20 million wounded. With first hand knowledge of the conflict no longer within living memory, it’s more important than ever to keep our history alive. 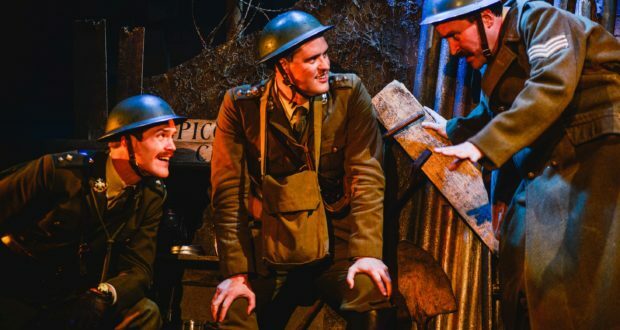 Modern conflicts in Afghanistan, the Gulf and Falklands might easily have buried WWI as a point of interest, but film, TV and theatre have ensured the Great War stays relevant. The principle of remembrance was established as a result of the conflict, and remains a powerful tribute to those who gave their lives in all wars. 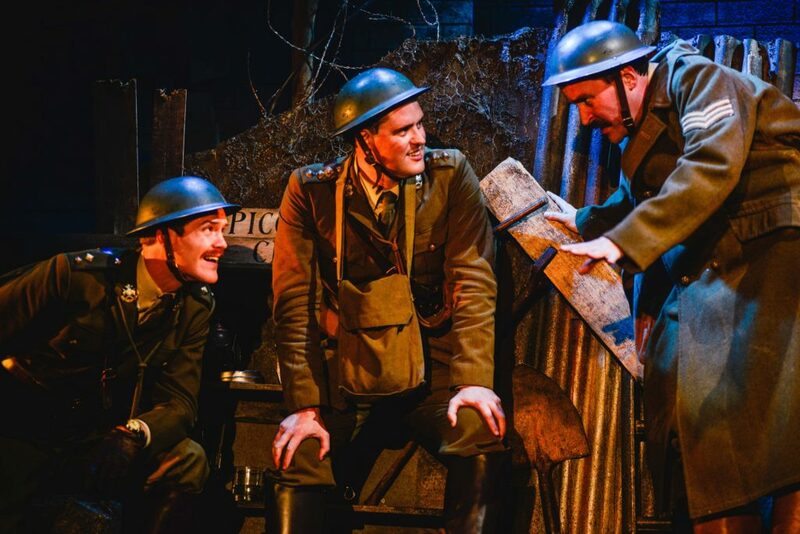 The Wipers Times is as perfect a tribute as you will find. Co-written by Ian Hislop, it shows both dignity and irreverence, drawing on the true story of 12th Battalion, Sherwood Foresters stationed at Ypres in 1916. Commanded by Captain Fred Roberts (James Dutton), the Battalion recovered an abandoned printing press. But what to do with such a thing amidst the blood and chaos of trench warfare? Produce a monthly magazine, of course. With Captain Roberts as editor and Lieutenant Jack Pearson (George Kemp) as sub-editor, the magazine was published monthly between 1916 and 1918. Circulating any publication was a remarkable achievement in such conditions. Even more surprising was the content and editorial – it was heavily critical of High Command, and gloried in a uniquely British gallows humour. The magazine delighted our boys and infuriated the military brass, even though they admitted the light relief and morale booster it provided for troops on the frontline. The production is an absolute delight from start to finish. An excellent set design is blessed with close attention to detail, which adds to the overall authenticity. Although a story based primarily in an all-male environment, the writers still manage to create two notable female roles: Fred’s wife Kate (Emilia Williams) and Lady Somersby (Clio Davies). 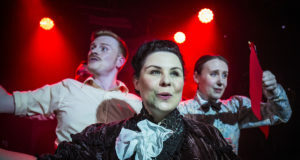 The story cleverly switches between highly effective trench scenes to comic excerpts from the magazine, making for a glorious mix of drama and old style music hall. An excellent ensemble cast sings and dances their way through a well-judged and highly accomplished piece of storytelling.